As the web continuous to grow more and more, bloggers and blogs are also increasing like hell. It’s very easy to build blogs but getting traffic is becoming very hard as Google is releasing new algo’s day by day and most of the blogs are being affected from which the result will be complete traffic loss. So in simple we need quality work for our blogs to gain traffic and profit too. Now for quality work its necessary to hire some professional seo consultants, for professional companies we need to pay hell of money, so here comes the actual problem. Most of the people suggest micro job sites to outsource our seo tasks in affordable prices. In this article we gonna learn how to outsource our seo related tasks to seoclerks, So first let know more about seoclerks in detail. Seoclerks is a marketplace for all seo related services similar to fiverr which has started in 2011, and yeah its lot better than fiverr as we can find variety of seo services which are not only affordable but the quality is also assured. SEO Clerks is awesome website and always free to register. Each of the services there is called a “gig”, you can create your own services there which is very easy and instant. Orders will be processed fast which will be done with in 2 to 3 days. So there are several seo related task which we need to outsource them to some professional to get quality results in short time. 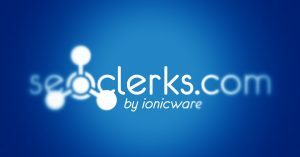 So below I have listed some tasks which you can easily get them at affordable prices at seoclerks. Everyone says ‘Content is King’ quality content is necessary to get traffic from search results or search engines. You need fresh and quality articles daily to attract visitors and to engage loyal readers. So there are several professional article writers available at seoclerks who will offer articles in any niche at affordable prices. Now if we have a blog with fresh content it’s not enough to engage traffic from search engines, we need to work on seo and link building to get traffic or loyal visitors. Seo is the most important thing to every website/blog to get traffic. SEO professionals at seoclerks can offer you a variety of seo services at affordable prices. To be honest I tried several link building and other seo services at seoclerks which are gave me quick and quality results. So to hire any freelancer for On-page and Off-page optimization you must try seoclerks once. Social media promotion is refers to promotion of blogs on social media like facebook, twitter and etc. It’s very important to gain exposure from search engines and to gain referral traffic from the links we’ve promoted. So whenever we started a profile at any social media the fans or followers may appear very low or zero. We need to promote our fan pages to increase the fans at social profiles. Seoclerks is the best place for buying thousands of fans at affordable prices. So in simple words I intend to say that we can outsource our complete blogging work at seoclerks, if we need quality and short time results. Finding affordable and quality services at seoclerks is easy and I am sure the services and freelancers at seoclerks won’t disappoint you.